In Virginia, driving with a cell phone in hand will be illegal soon, due to a new safety law. It will soon be illegal to drive while holding a cell phone in Virginia, per WTKR. 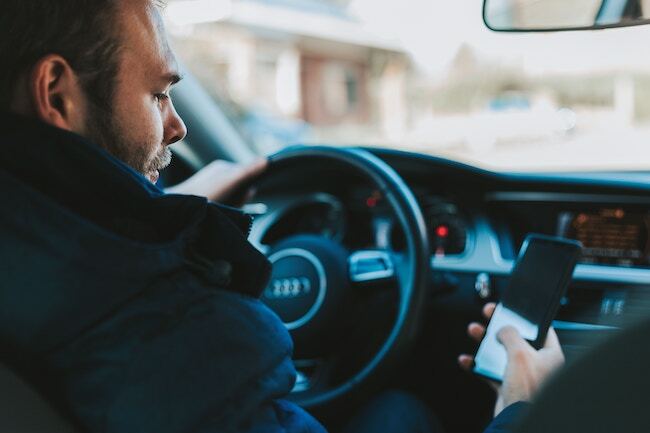 The law, passed by the Virginia State Senate and the House of Delegates, is allowing police to further cement no-texting-while-driving laws by making it illegal to drive with a cellular device in hand. Remember how those anti-texting laws were passed and nothing ever came of them? WTKR reports that it was an impossible law to enforce due to the amount of danger a driving cop would have to endure in order to charge a person with that crime. The police officer, while driving, would have to catch a person by intently observing them and then waiting for them to push a button on the phone -- a dangerous, near impossible task. Now, it will be as simple as seeing the phone in hand. WTKR reports that "drivers who break the law could be pulled over and issued a ticket ($125 on the first offense, $250 on the second)." Drivers will, however, be allowed to speak on the phone using speakers -- anything non-handheld. So this law will simply negate the ability to hold the device, not to speak. While some people may argue that this law is too far-reaching, it is more than fair to say that something had to be done about the traffic fatalities that have been ravishing this country. "Virginia saw a 10.8 percent increase in traffic fatalities in 2017, according to the Virginia DMV, and traffic deaths have increased every year since 2013." A 2017 report from the CDC also states that distracted driving is responsible for nine deaths and 1,000 crashes in the USA daily. Celebrities such as Mark Wahlberg and Oprah Winfrey have been very vocal about this issue, encouraging people to focus on the road while driving. Now, it will be the law of the land, at least in Virginia. What do you think? Is this a good law? Tell us your thoughts in the comments below!